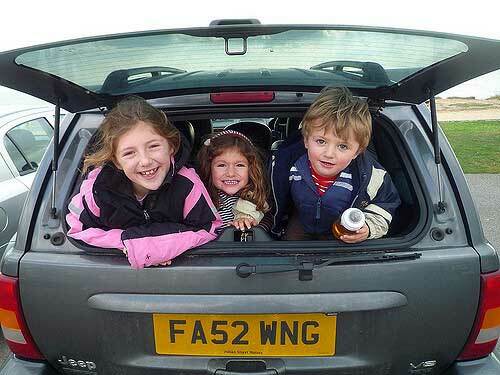 Driving a car is a totally different experience when you’ve got kids in the back. I’m not just talking about the endless children’s tunes on the stereo or the constant crying, either. You need to take extra care to ensure they remain safe, and there are lots of ways to do this. It doesn’t take a lot of effort to put the right measures in place, but you need to start thinking about them now. Let’s go through five examples today. Arguably the most important thing you need consider before setting off on a journey is a car seat. You can obtain all sorts of different types, and it’s important to make sure they are the right height for your child. Seat belts are not made specifically for children, so you need to boost their seat as much as you need in order to make them as safe as possible. You can even get rear-facing seats if you’re looking for extra safety. Cars are dangerous things, even when they’re not running. Whatever you do, don’t leave a child unattended in a vehicle. You never know if it’s going to unexpectedly heat up in there and cause serious issues. Messing around with handbrakes and different pedals could cause serious problems in certain circumstances. Don’t let this happen! Children have a tendency to get bored quite quickly, so don’t be surprised if they start messing with the doors. You must make sure the doors are always locked before you set off on any trip. One quick flick of the door handle could be all it takes to cause a fatal injury. Also, in the event that you accidently lock them in the car with the keys inside, don’t panic. Enlist the help of a 24 hour locksmith, and tell your kids not to touch anything in the meantime! Your kids likely take everything you say seriously, so you need to constantly convey the importance of seatbelts. Yes, you’ll be the one fastening them in, but they can undo them if they’re clever enough. Explain why they’re so important, reiterating the message of safety. You can’t allow them to be messing around with seatbelts in case an accident was to occur. You should always take care when driving, but this is especially important when children are in the car. Don’t go so fast when driving on the roads. You don’t want to be thrashing around and breaking suddenly when kids are in the backseat. Also, make sure you’re always doing maintenance checks before you set off on a journey. If you’re about to have children, and car safety has been on your mind, start preparing now. Get an efficient car seat and start thinking about how to keep your children safe on the road. It won’t take a lot of effort, but it might just save their lives one day.